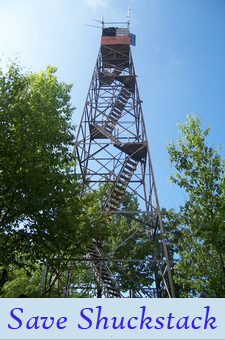 Peter Barr has combined his love of fire towers and his passion for the outdoors into a historical and hiking guidebook to the lookout towers in mountainous western North Carolina. The book includes natural and cultural history for 26 towers and their mountains, often including interviews from past watchmen. In addition, driving directions as well as detailed hiking routes of varying length and difficulty will serve to guide hikers of all abilities to these historic lookouts. Descriptions of the panoramic vistas afforded by each tower are also included. The book includes over 30 maps and 40 photographs as well as inventory listings of removed and restricted towers in western NC. 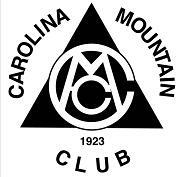 Information on the “Lookout Tower Challenge”, a hiking based challenge program to be co-administered by the NC Chapter of FFLA and the Carolina Mountain Club, is also included in the book. Towers included include: Wayah Bald, Panther Top, Albert Mountain, Wesser Bald, Joanna Bald, Cowee Bald, Yellow Mountain, Shuckstack, Clingmans Dome, Mt. Cammerer, Mt. Sterling, Mt. Noble, Barnett Knob, Rich Mountain, Camp Creek Bald, Duckett Top, Chambers Mountain, Fryingpan Mountain, Bearwallow Mountain, Little Snowball, Mt. Mitchell, Green Knob, Flat Top Mountain, Rendezvous Mountain, Walker Top, and Moores Knob. 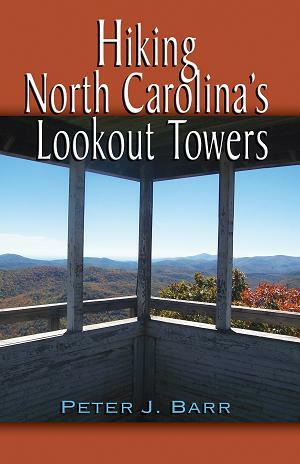 With the book’s special emphasis on lookout preservation and restorations in western North Carolina, Barr hopes to spur an increased interest in the towers and their upkeep and rehabilitation throughout the state. 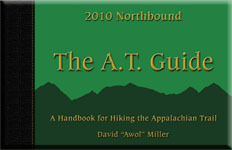 If you would like to order a book by check, please mail a check or money order for $15/book made out to Peter Barr and mail to: 35 Mountain Site Lane, Asheville, NC 28803. Please allow at least a week for delivery. I would like to contribute. I am a dear friend of Doug McFalls. I thank him for turning me onto so motivate, good people. I have been to tower and must admit it needs lots of work above ground as well as below it. The amount of glass is dangerous. I will volunteer my time to help restore it and clean up around the area. 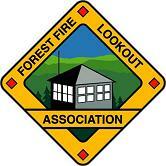 Do you know if they plan to place a trailhead for the tower? I was there Labor Day Weekend and there wasn’t one then. Happy Trails…maybe I will meet you and your wide on the trail or while restoring the tower.